At 52, KRS-One is a hip-hop elder at this point. His name stands for Knowledge Reigns Supreme Over Nearly Everyone. His style of rap is about imparting truth and wisdom, a sense of history, and a sense of dignity and depth through densely packed and confidently articulated syllables. KRS-One he grew up around New York City, getting a taste of the nascent hip-hop scene with the founders of the genre when he wasn't even a teenager. His newest record "The Truth Is Mind," released this year, drives home an idea that KRS-One has hammered on for a while as a rapper, writer and lecturer: the world we see is a reflection of how we think and if we want to change it we need to attend to our minds. 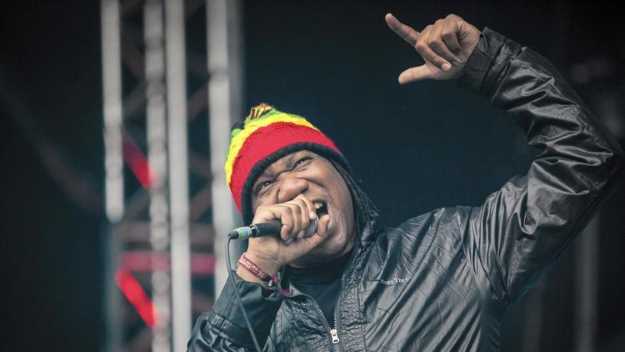 As radical of a figure as KRS-One is and has been, in the 21st century he's embraced a few positions that you might call conservative, not necessarily in the current political sense, but in terms of preserving a tradition. Worshipping and honoring ancestors is not something the KRS-One would scoff at. KRS-One is critical of the role social-media plays in today's hip-hop and he's more in favor of real-world, meat-space interactions than in virtual success. With someone like KRS-One there's such a focus on authenticity, didacticism and imparting wisdom that sometimes the music can get lost in the potent messaging. But anyone who grumbles about the prevalent themes of drugs, violence and misogyny in a lot of hip-hop should listen to KRS-One. KRS-One will perform at Toad's Place, 300 York St., New Haven, on Tuesday, Nov. 7 at 9 p.m. Tickets are $25. Toadsplace.com and 203-624-8623.